Standup paddling has a history that is longer than many people assume. 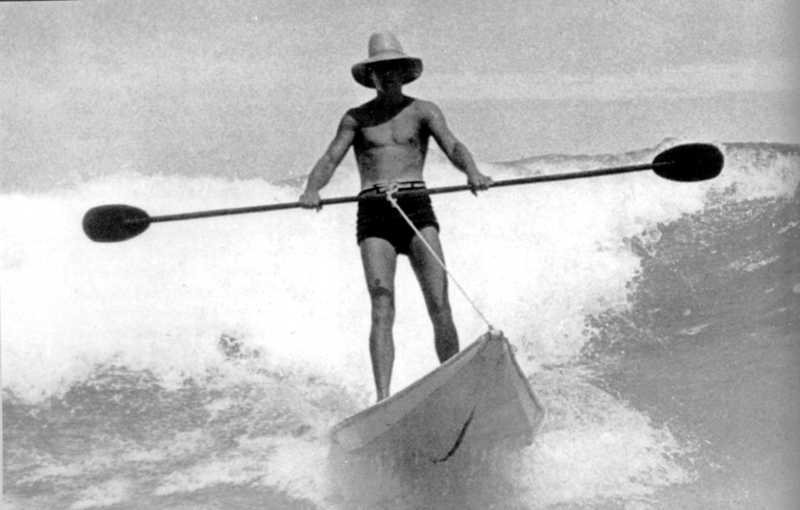 The modern paddle board has been designed with recreation in mind, but this was not always the case. Early standup padding had more practical purposes before it was turned into something for leisure. Early standup paddling was practical and generally something that fishermen across the world did. Fishermen would stand on solo vessels and paddle to maneuver the vessel. There are still many fishermen who practice this ancient technique. The small vessels were created to maneuver through waterways and in the shallow areas of the ocean. The original paddles used were often made of hollowed lengths of wood and helped the fishermen navigate the waves. The use of these standup paddle boats was seen in South America and predates the arrival of the Spanish in the 15th century. While there is a long history of standup paddling in South America and Asia, Europe also contributes to this history. The most famous of the European standup paddling is the gondoliers of Venice. Venice in the 17th century was built almost entirely on the water and uses the canals as a means to travel. To navigate the canals, there are gondolas steered by the famous gondoliers. At the height of Venice’s popularity, there were an estimated 8000 to 10000 gondoliers paddling their way through the canals. This number has decreased drastically over the years and today there is an estimated 400 gondolas in service. Today, they are mainly used to shuttle tourists through the amazing city, but at one point they were the primary means of transportation in the city. The early history of standup paddling focused mainly on the practical uses of this. However, there is a long history of standup paddling being used for fun. The Hawaiians were the pioneers of using a standup paddle board purely for the thrill that it provides. Ancient Hawaiians called themselves keiki o ka’aina which means children of the land. The land provides them with food and materials to build with. The land is also the sibling of the sea and so mankind was seen as a sibling which was born to the same parents at the start of time. As siblings of the sea, Hawaiians of all ages enjoy playing in the water. The solid evidence of standup paddle boarding by Hawaiians is only 70 years old, but it is commonly agreed on that this was practiced for centuries before the picture. One of the most famous Waikiki boys, Duke Kahanamoku, is said to have used an outrigger paddle to propel his board into the waves of Waikiki. Hawaii is not only the home to some of the first standup paddle boards for leisure, it is also the home of many modern standup paddle boarding inventions. Many of the accessories for paddle boarding which are used today are believed to have been created by Hawaiian beachboys. One of the most commonly used is the leg leash. The leg leash connects you to the board and is very helpful in a number of different situations. The leg leash was created by John Ah Choy also known as Pops. Pops was an inventor and is one of the most famous early paddle boarders. Standup paddling has a very long history and can be dated back centuries. Early standup paddling was generally completed for practical reasons such as fishing or traveling through the canals of Venice. However, it has also been a leisure activity for many people and this was pioneered by the Hawaiians.